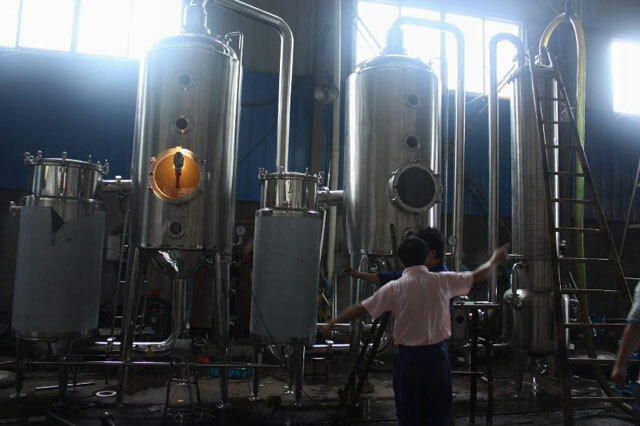 Dual-effect energy-saving evaporator is used in Chinese traditional medicine, western medicine, glucose, starch, MSG, dairy products and chemist to concentrate their liquid, especially suitable for termally sensitive materials to concentrate. Combining the advantages of domastic homogeneous products and suggestion, our company improved the design aboratively, and the effectiveness is much better. 1. Energy-saving profit:In case of SJN-1000, the saves respectively in the term of vapor, warer and electric per year are about 3500 tons,9000 tons and 8000watt, equal to RMB 100,000~150,000 Yuan. 2. 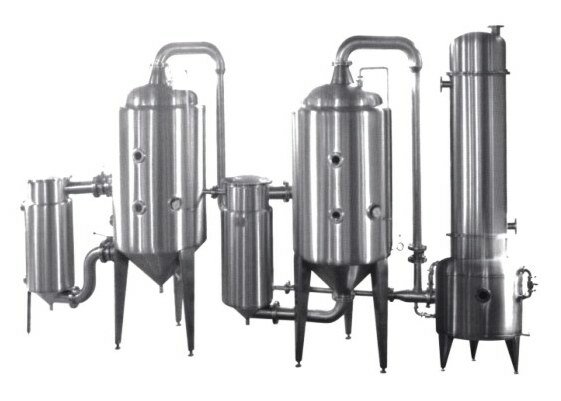 Adopts the form of making output heat circulation system and vacuum negative evaporation combining together to fasten the speed. Concentrating gravity can reach 1. 25~1.35( in case of normal China traditional immerse cream) without need of open-mouth pan for collection of cream. 3. 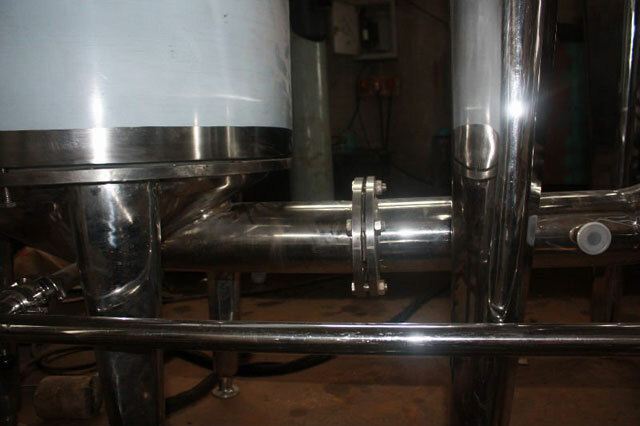 The liquid is concentrated in sealing and without foam condition. 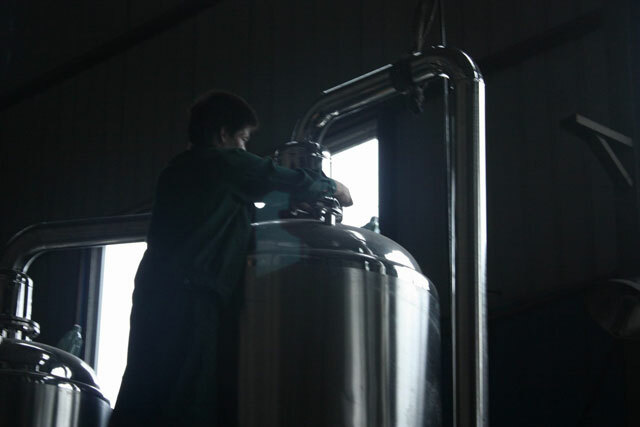 The materials flowed out have no pollution, the taste of the medicine is very heavy, the cream is made evenly. 4. 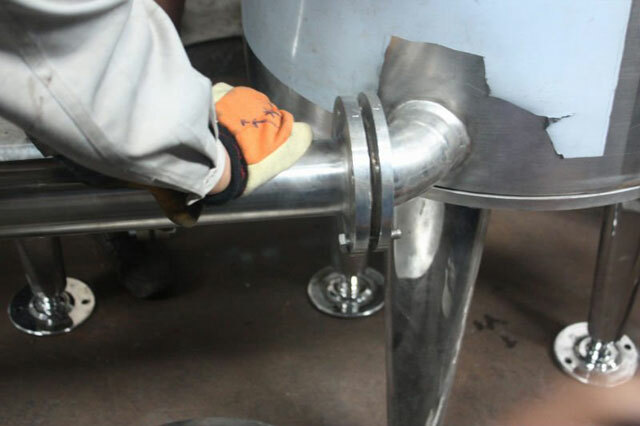 The heater and the top cover of evaporator adopt turnover arm structure opening the caver of the Heater, they can be cleaned. It is very convenient and save time and labor. 5. With the adoption of double-efficient simultaneouse evaporation the twice steam can be used aboundently and the energy can be reduced. Compared with single-efficient, the energy can be reduced 50%, at the same time the organic solvent can be recycled. 6. The parts contacts with materials is made of made of stainless steel SUS304 and reaches GMP standard. This equipments can automatically drain, alleviate to labor the strength, and have the half automation the function. More information If you have any enquiry about quotation or cooperation, please feel free to email us at tinazhangfly@aliyun.com or use the following enquiry form. Our sales representative will contact you within 24 hours. Thank you for your interest in our products.